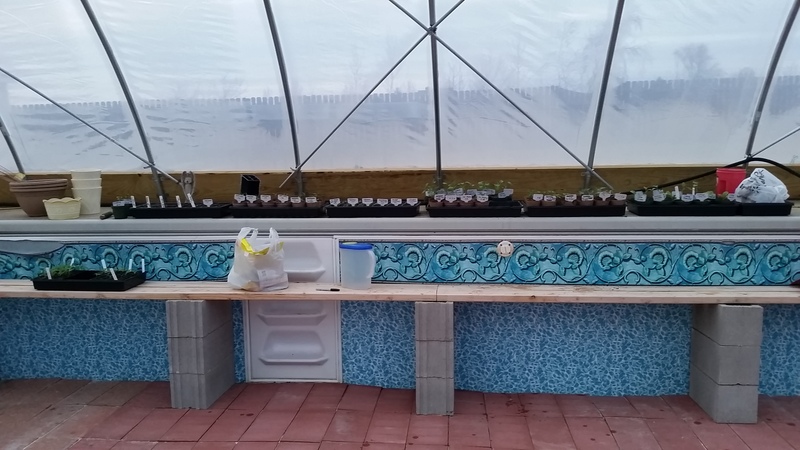 I’ve started prepping the kitchen garden for planting. 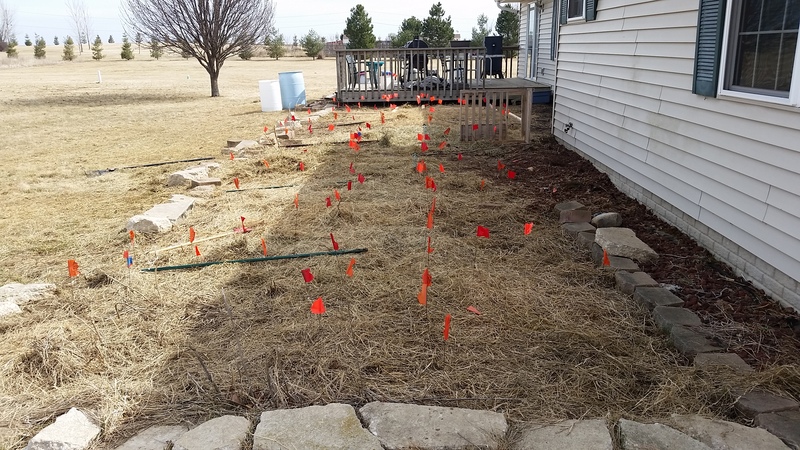 I’m raking in the beautiful mess the chickens left behind as fertilizer and marking my paths off with flags. The paths will be dual purpose. 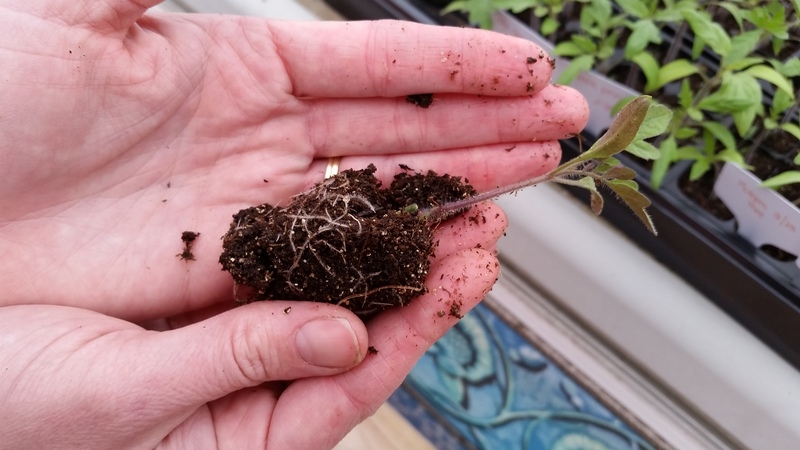 2) They’ll help us avoid compacting the soil too much, leaving the nutrient and water cycles around the plants intact. I’ve also been prepping the plants. 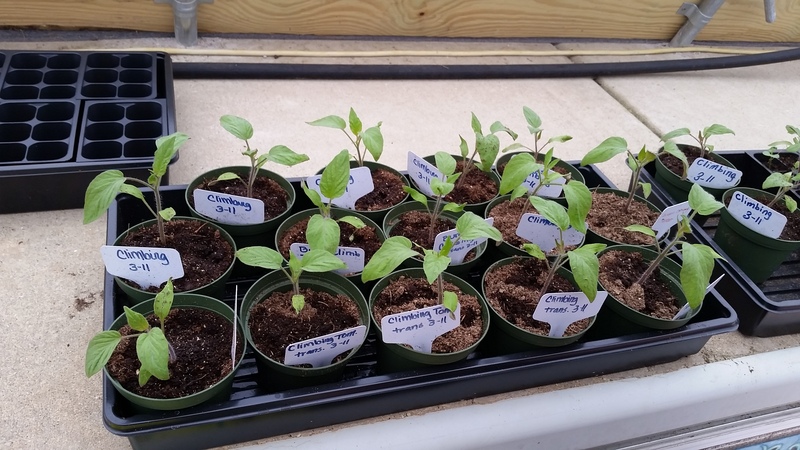 On nice days, I’ve been taking a flat or two over to the neighbor’s greenhouse. They are thriving in their new home. 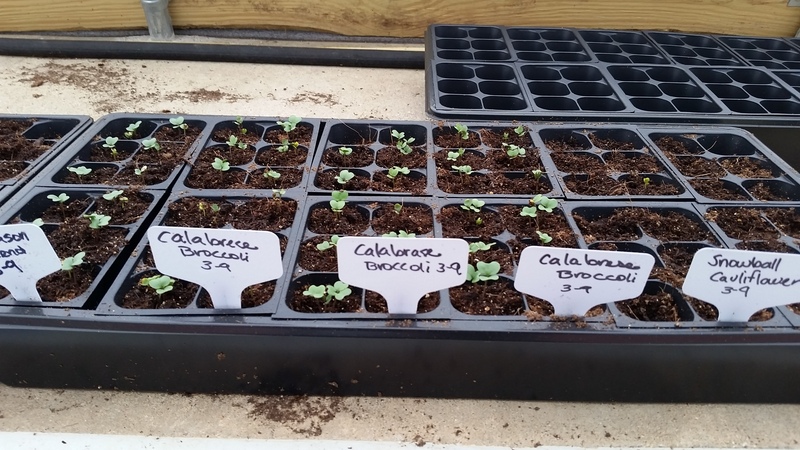 The broccoli and cauliflower I started a few weeks ago are sprouting, as well as a few of the tomatoes. 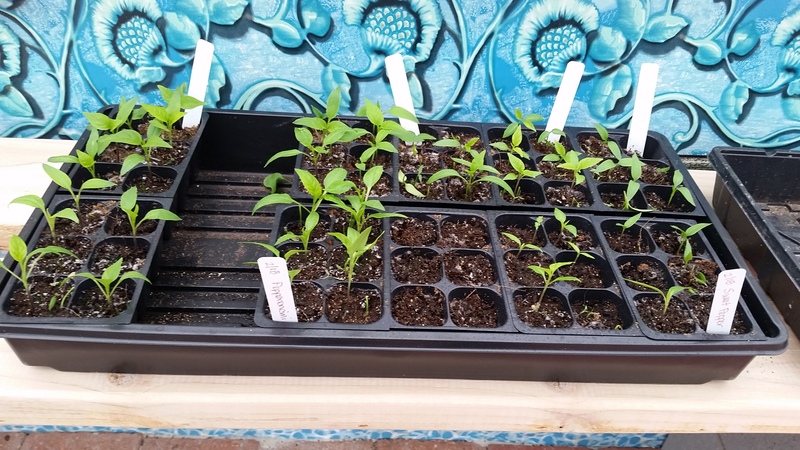 In the past week, I’ve transplanted around 70 starts–an assortment of cabbage, tomatoes and peppers. The roots are in great shape, and have just started to twine around each other. 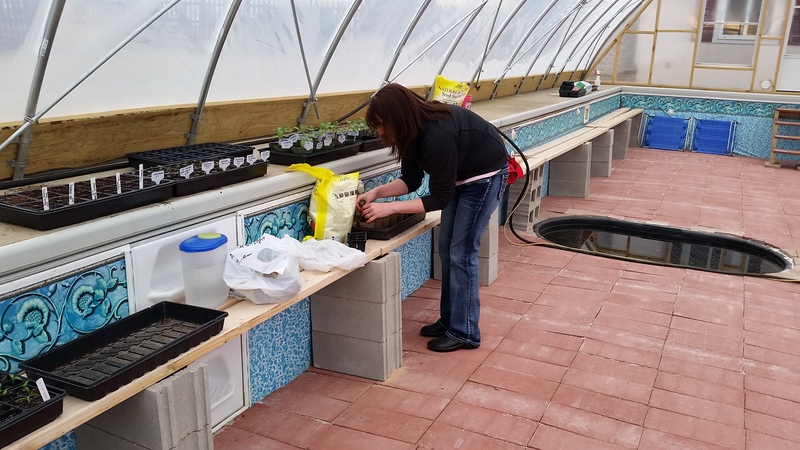 In their new pots, the roots will have plenty of room to spread out and get strong before we stick them in the ground. Although we are expanding, our little operation seems so small in this massive greenhouse. Wow that is an incredible greenhouse! I know! I’m so impressed everytime I go over there.